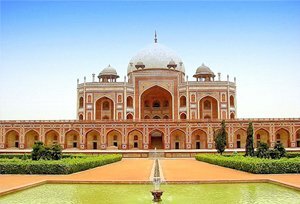 In the morning go for a sightseeing tour of Delhi. Visit Raj Ghat (the cremation sites of Mahatma Gandhi), Shanti Vana (the cremation sites of Jawaharlal Nehru) and Jama Masjid. Drive past Red Fort. Breakfast at the hotel and proceed to visit the famous Taj Mahal built by Mughal Emperor Shah Jahan in memory of his wife Mumtaz Mahal. This monument is made of white marble and it took 22 years to get constructed. Evening transfer to Railway station for Varanasi. Overnight at board. Upon arrival at Varanasi meeting and assistance followed by transfer to hotel. 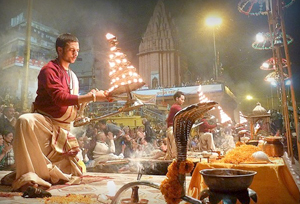 Later visit temples like Kashi Vishwanath dedicated to Lord Shiva; Bharat Mata Mandir dedicated to Mother India. Afternoon excursion of Sarnath, an important Buddhist pilgrimage point. Evening drive back to Varanasi. Overnight stay at hotel. Morning enjoy a boat ride on River Ganges. Breakfast at the hotel. Afternoon is to explore the colorful bazaars walking around. Evening transfer to railway station for Kolkata. Overnight at board. Upon arrival at Kolkata meeting and assistance followed by transfer to hotel. 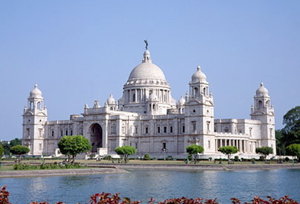 Kolkata is the capital of the British Empire, formerly known as Calcutta, it remains the cultural capital of India with strong tradition in literature and fine arts. Afternoon city tour of Kolkata. Overnight stay at hotel. Morning after breakfast visit Dakshineshwar Temple & Botanical garden. Evening transfer to railway station to connect overnight train to Hyderabad. Overnight at board. Meet on arrival at Hyderabad Railway station and transfer to the Hotel. Later visit the city of Nizam's. visit Charminar, Qutub shahi Tombs, Salarjung Museum, Birla Mandir, Golkonda Fort. Overnight stay at hotel. Morning free for your own activity. Evening transfer to Railway station for Chennai. Overnight at board. Meet on arrival at Chennai Railway station. Later visit Museum, Marina beach, Anna square, M.G.R. square, vivekananda ashram, kapaleeswarar temple, snake park. Overnight stay at hotel. After breakfast proceed for an excursion to Mahabalipuram & Kanchipuram. The ancient Pallava port, 64km from Chennai, Return to Chennai and connect an overnight train to Cochin. Overnight at board. Upon arrival at Cochin meeting and assistance followed by transfer to hotel. 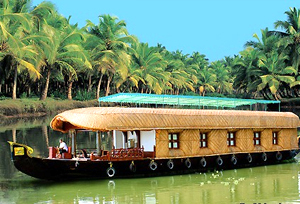 Cochin a myriad of tiny islands set in the shimmering blue Arabian Sea, against a lush backdrop. It has one of the most beautiful harbors on India's. Rest day free for your own activity. Overnight stay at hotel. After breakfast city tour of Cochin. Cochin, Karnataka's commercial centre, has a fine natural harbor. Cochin (Kochi) gateway for Karnataka is famous for Mattancherry Palace, St. Francis Church, Wellington Island, Bolghatty Island, Chinese Fishing nets and Jewish Synagogue. Cruising on the back-waters provides glimpses of the rural life, fine view of the harbour and three islands. Evening show witness the Kathakali Dance Show in an auditorium. Evening transfer to Railway station for Goa. Overnight at board. Meet on arrival at Goa Railway station and transfer to hotel. 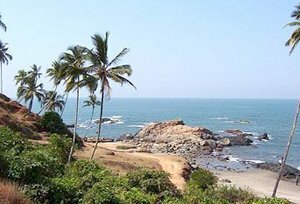 Goa, a tiny emerald land of 3,702 Sq. Kms. on the west coast of India, with its natural scenic beauty, attractive beaches, churches and temples, famous for its architecture, feasts and festivals and above all hospitable people with a rich cultural milieu, has an ideal tourist profile. Overnight stay at hotel. Breakfast at the hotel, evening transfer to railway station to connect train for Mumbai. Upon arrival at Mumbai meeting and assistance followed by transfer to international airport to connect flight for onward destination.